The car care product market is a highly competitive one as there are hundreds of brands to choose from. But Meguiar’s, which has been around since 1901, has always dominated the scene with its range of best-selling auto detailing products. 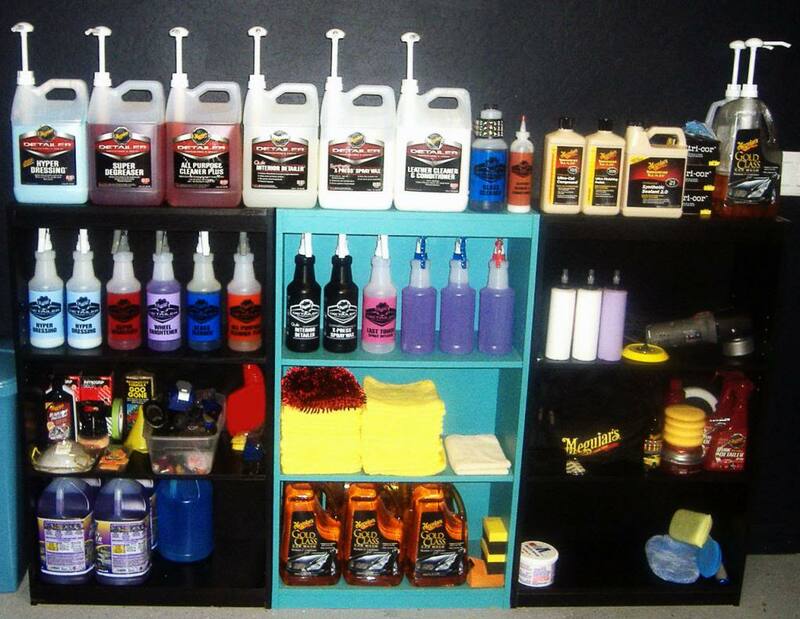 Whether you need a car wash shampoo, wax, glaze, clay bar, tire dressing or detailing accessories like polishers, buffing pads and microfiber towels, Meguiar’s has it all. Out of this extensive range, we have chosen 5 must-have Meguiar’s auto detailing products for detailing enthusiasts. This pH balanced car wash product is designed to make your job easier. In one step, you can both shampoo and condition your car without worrying about damaging the wax. It will gently and effectively remove the toughest of dirt, dust, grime and other contaminants off your car while conditioning the paint, leaving it beautiful and shiny. Pamper your car with this premium product and you will be more than satisfied. This product is a great interior detailer for many reasons: 1) It works on all surfaces, even LCD screen displays; 2) It’s an efficient “spray and wipe” product that can accomplish the task in a very short period; 3) Amazing streak-free cleaning that removes stains, dirt and dust; 4) The UV blockers in the solution will prevent aging of upholstery; 5) It will leave a nice citrus aroma inside your car; and 6) All these great features come at a very reasonable price. What more do you need from an interior detailer? In fact, this is one of the Meguiar’s auto detailing products that has become part of DetailXPerts’ all-time favorites. 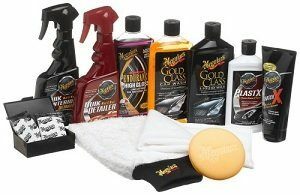 This kit is complete with 2 clay bars, Meguiar’s Quick Detailer lubricant and a high quality microfiber towel. The clay bars are non-abrasive and can be used to get rid of contaminants on car paint, glass and metal. The lubricant ensures the smooth sliding of the clay bar over each surface. It also prevents paint scratches from contaminants caught on the bar during the process. The soft micro fiber towel completes the process by quickly absorbing water thus leaving a smooth shine. This is definitely one of the Meguiar’s auto detailing products that provides true value for your money! Car owners and professional detailers alike swear by this product. It is easy to apply and remove. The ThinFlim Technology Meguiar’s uses ensure smooth application without white residue. The synthetic polymers in the solution facilitates water beading while also enhancing the mirror-like shine that you’ve always wanted for your car. Unlike other waxes, this product can be applied under direct sunlight or on a warm surface. Finally it will last longer than most other car wax types. A non-abrasive cloth is a must-have detailing accessory in your car wash kit. Microfiber towels have proven to be more car-friendly than others like terry cloths. Meguiar’s microfiber towels are among the best in the industry. They are dual sided, soft and have the ability to absorb water three times more than a terry cloth. They also give a swirl-free mirror-like finish for polish and wax. This 3 towel pack is the best investment you will make on car care products. Meguiar’s auto detailing products will keep your car happy for a very long time. They are not only highly effective but also reasonably priced, which make them ideal for all car enthusiasts. 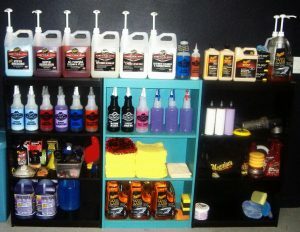 We at DetailXPerts only use the best auto car care products in the market, including Meguiar’s. These products at the hands of our highly trained professionals have satisfied a large number of car owners. Contact us to get more information about our detailing services. This entry was posted in Consumer Auto Parts and tagged Auto, Auto Parts, Consumer, Coupon, driving, heat, Parts, Special, summer on April 23, 2018 by contest. It’s hot outside, but even hotter inside a car. On a 90-degree day, the temperature inside a vehicle can quickly rise another 20 degrees in just the first 10 minutes. We all know the deadly consequences of leaving children or pets in a hot car. But in everyday driving, just getting in your car after it’s been parked in the sun for a while can be uncomfortable and has the potential to cause burns. Here are some tips on how to prepare for driving in the summer heat. If you need to park in sunlight and you have a sunroof, close the shade. Put a sunshade in the windshield and another over the rear seat window, especially if you’ll be carrying children in car seats. Folding-type shades are easy to store while driving. If you’re parking in a secure area and there won’t be any rain, lower each window an inch or two. If you have a sunroof, you can leave it in the tilt position to provide extra ventilation. Open the windows for the first few minutes to let buildup heat escape. Bring a towel to sit on if you’re wearing shorts and have leather or vinyl seats. Be careful when buckling up to not touch the metal part of the seatbelt as you can burn yourself. Keep a light pair of gloves in the car if you find the steering wheel too hot to handle. If carrying children or pets in the backseat, bring plenty of water and snacks, and plan to stop more often to tend to them. Remember that the rear seat and cargo areas in SUVs, wagons, and minivans can be considerably warmer than the front-seat area. If you’re carrying passengers back there, and there are no backseat temperature controls, adjust the front a/c vents so they direct air to the rear. If you’re headed to the store, bring a cooler bag to keep frozen items from melting or defrosting before you get home. Keep in mind that high temperatures can mean power outages, which means that any gas stations that are affected could be out of service. Filling up in the morning will help you be ready for the unexpected. For more advice on summer road travel, see our guide. This entry was posted in Uncategorized and tagged driving, heat, summer on July 7, 2016 by contest.